A student at Pine Manor College has been charged with having a gun in his dorm room. 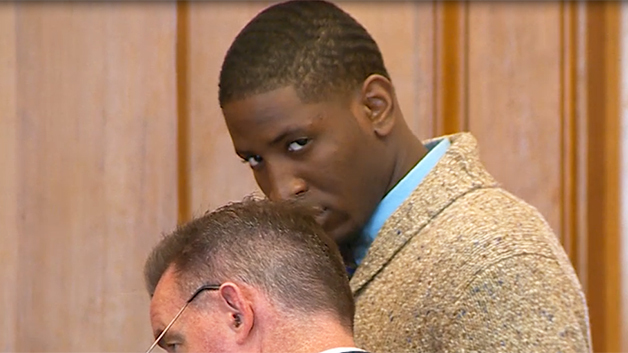 Ebrahim Jallow, 24, of Hartford, Connecticut, pleaded not guilty to several firearms charges in Brookline District Court Monday. Jallow, a former basketball star, was arrested early Friday morning in his dorm room. Police were looking into an armed home invasion in a residence hall involving four masked men. Officers executed a search warrant for Jallow’s room, where they say they found a Taurus .44 caliber revolver fully loaded with hollow-point bullets. He is charged with improper storage of a gun and possession of a gun and ammunition without a license. Brookline Police said both cases are still under investigation and it is not clear yet if they are connected. “As a community, our top priority is the safety and well-being of our students. We have increased student counseling and support, campus security, and various communication outlets for the students and college community for both transparency and healing,” Pine Manor spokesman Efrat Zinnar-Shavit said in a statement. On May 1st we asked the question is metal detecting technology used on the points of entry/exit and on the premises of the local education institutions in a publication here.